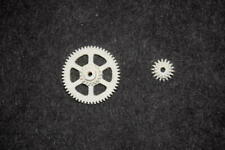 Part number3-345-181-01 Gear (Loading A) and3-345-182-01 Gear (Loading B). However, it might work also with other devices – just check your service manual. Part is compatible with following devices. 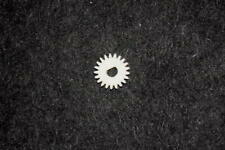 Price is per a single gear. 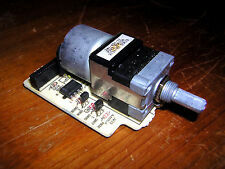 Rotary encoder is not included. Gear was thoroughly tested for correct operation. Part is compatible with following devices. Complete set of cd deck belts for above models & others they are precision Japanese belts, These were top end Sony machines. This item is in good condition and working order. New belt set for Sony TC WE435, TC-WE675, TC-WE475, TC-WE635. 2 x square belt, 2 x flat belt. 2 x flat belt, 2 x square belt. Marke Sony. Markenkompatibilität Sony. NEW (see picture). MHCGRX8,MHCR800,MHCRX88. More models to follow. These twin cassette decks are well worth refurbishing this 5 belt kit will repair both decks to their original condition.subtle belt part. New belt set for Sony TC-WE505, TC-WE705S, TC-WE805S, TC-WE835S. 2 x square belt, 2 x flat belt. 2 x flat belt, 2 x square belt. Marke Sony. Markenkompatibilität Sony. NEW (see picture). Width 9mm (12mm at lower flange ). The gear is attached to reel motor shaft. The price is per a single gear. You will get the gear only (picture with orange background), other parts are not included! See in action The part was 3D printed using high-precision professional 3D printer. 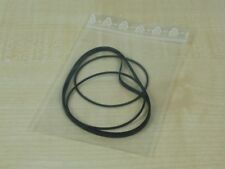 BELT KIT SONY PMCDR50L/PMCDR70L HI FI BOTH BELTS FOR CASSETTE DECK. JAPANESE QUALITY BELTS ARE USED. Dispatched with Royal Mail 2nd Class. Ending Soon. we do not take any responsibilty after this. New Arrivals. QUICK LINKS. Desktop PC. PC Components. you can buy in set of 6 max. Why Choose Us! WORKING CONDITION :RADIO ONLY WORKING,TAPE NEEDS BELTS,SPEAKERS WORKING FINE. BATTERY BACK COVER IS MISSING. BUILD IN MIC. Fits Sony CD Player Changer Player CDP-CX400, CDP-CX450, CDP-CX455, CDP-CX555ES, CDP-CX691, CDP-M333ES, DVPCX777ES, DVPCX985V, DVPCX995V, CDP-M400CS, CDP-M555ES. Obviously before buying, you will be competent enough to establish that there are no other defects. Wall Mount Bracket VESA 75/100. How will I know when my order has been dispatched. Comprehensive product line. If an item is faulty within warranty period. They may be able to solve the problem straightaway, and if not will advise you further. Nuova cinghia per Sony TC WE435, TC-WE675, TC-WE475, TC-WE635. Istruzioni per l'uso originale Sony TC. 2 cinghie quadrati, 2 x cinghia piatta. 2 x cinghia piatta, 2 cinghie quadrati. Marke Sony. Markenkompatibilität Sony. Original mode d’emploi Sony TC. courroie Neuve pour Sony TC-WE505, TC-WE705S, TC-WE805S, TC-WE835S. Marke Sony. Markenkompatibilität Sony. EAN Nicht zutreffend. •Typ: 3-Kopf, Kassettendeck. • Modell: TC-K770ES. • Signal-Rauschabstand: 76 dB (Dolby C). • Rauschunterdrückung: B, C, HX-Pro. 5 des Fernabsatzgesetzes handelt. • Hinterbandkontrolle: ja. • MPX-Filter: ja. Komponente für Tape Deck. Sony TC-K770ES. Front Panel. Zustand (siehe foto). Komponente für Tape Deck. Sony TC-K770ES. Galets presseur assemblés: lecteur de cassette SONY TC-VF1. Pièce détachée. Ensemble des deux galets presseur, avec support et ressorts, prêt à être installé. Pièce de récupération origine lecteur de cassette SONY TC-VF1. Sony TC-K5 TC-K4A Bandandruckrolle. Natürlich gebraucht aber noch recht sauber. Face avant complète SONY TC-VF1.Pièce détachée. Face avant complète pour lecteur de cassette SONY TC-VF1. Bandandruckrolle für Sony TC-209 SD. Original Sony. Guter Gebraucht-Zustand. Original Sony part. Sony TC-K790ES. Eine Gerätefront! Keine Dellen oder Beulen; jedoch ein paar Kratzer und minimale Lackmacken auf der Oberseite. Die direkte Frontansicht ist jedoch gut erhalten. Alle Beschriftungen sind in einwandfreiem Zustand. Sony TC-209 SD Netzschalter mit Knopf. Gebraucht, guter Zustand. Unsauberkeiten sind Klebereste von der Isolierung der früher verlöteten Kabel, beeinträchtigen nicht die Funktion. Sony TC209 SD Power Switch with Knob. Gerätedeckel mit Schrauben. Sony TC-K790ES. Ein Deckel! Trafo für Kenwood KX-530 KX-550. Gebraucht, guter Zustand. Rechnung gem. Selbstabholung und Besichtigung nach Absprache selbstverständlich möglich. Original Bedienungsanleitung Sony TC. Tapedeck Sony TC-K790ES. Originales Netzkabel mit weißem Innenstecker. Ein Netztkabel! Sony TC-K750ES Tapedeck. Cassettenfach / Fenster. Ein Cassettenfach! Voll funktionsfähig. Original Sony Knopf. Passt optisch zu anderen Sony Decks z.B. TC-K4A und Komponenten aus der Ära. Dieser Knopf passt NICHT für Pioneer Kenwood & Co., bei Sony ist der Knopf anders ausgelegt, der Schlitz für den Schaft sitzt 5mm tief im Knopfinnern (letztes Bild). Dieser 1,6cm Stereo Poti hat 2x 20 KOhm. Der Original Alu Knopf ist dabei. Schaftlänge inkl. Gewinde 25mm. Original alloy knob is included. Japan made. CFM-30 CFM-31 CFM-315. Original Sony Knopf. 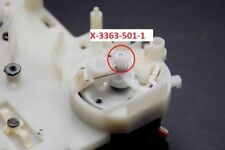 Dieser Knopf passt NICHT optimal für Pioneer Kenwood & Co., bei Sony ist der Knopf anders ausgelegt, der Schlitz für den Schaft sitzt 5mm tief im Knopfinnern (Bild 3). Genuine Sony knob. Marantz SD 1030 Reel LEFT. Including cap. 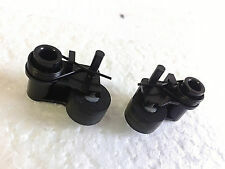 Sony TC-K5 Reel LEFT. Including cap. Dieser 1,6cm Stereo Poti hat 2x 20 KOhm. Der OriginalKnopf aus massivem Aluminium ist dabei. Schaftlänge inkl. Gewinde 25mm. Originalmassive alloy knob is included.